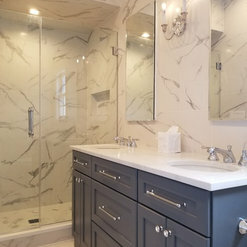 19 Projects for Galante Building & Renovations, Inc.
16 Reviews for Galante Building & Renovations, Inc.
Matt Galante & his crew renovated our main bathroom. He did an amazing job! Great attention to detail, organized, neat, punctual & a true perfectionist. 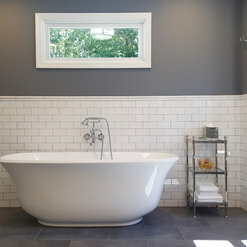 Our bathroom turned out perfect! He walked us through the process always addressing any questions or concerns. Both my husband and I appreciated that he did what he was supposed to do, when he was supposed to do it, never cutting corners. After many bad experiences with other contractors we finally felt we found somebody who earned our trust. If you are looking for a true professional hire Matt Galante & his team. We have been working with Matt for over 10 years on various projects in our home. 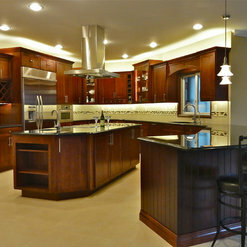 When it was time to do a complete kitchen renovation there was no doubt who we would use to undertake this project. Matt and his crew delivered all that was expected and then some. Certain challenges were met with a great attitude and great results. 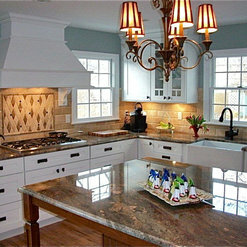 Prompt, clean and efficient-everything you are looking for when it comes to work being done in your home. I hire Matt after reviewing four contractor to make an extensive renovation in my house. I was very lucky to find Matt to do the job. He and his crew worked in my house for period of 7 months and he was always on time, organized and very dedicated to my job. He schedule all the different crews ( electrician, Plummer, painters) and the job progressed very smooth . Matt made the construction process easier for us; he has a great eye for design and great ideas, also he is very resourceful when we encountered issues. He is a perfectionist and pays attention to detail which is great because I am a very detailed person. 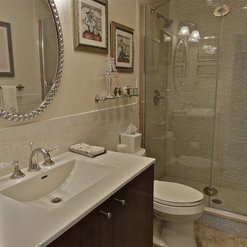 I would recommend Galante Building & Renovations Inc any time! 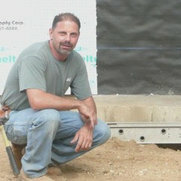 After chasing a few different contractors around for a proposal I was lucky enough to be referred to Matt Galante. Matt is a professional with 30 years experience that speaks with you rather than at you. He is personable and understands your needs and concerns and addresses them appropriately. Matt is meticuluous with his work and shows up on sight everyday as promised. He puts the satisfaction of the customer first because that is what his reputation is based upon. I couldn't be happier with the fit and finish of all work completed. We had a 16x20 deck pulled apart to the rafters and finished with Trex decking. Also a 1/2 bath and laundry was comverted into a full bath with accesible roll in shower that pitched slightly for linear drain. Great idea from Matt that we wouldn't have thought of. First floor was removed and replaced with pre-finished flooring. Also a sliding door was converted to a set of french doors and boiler and hot water heater was removed and replaced. The finish trim work was completed by Alex who is Matt's son. Tight seems throughout. 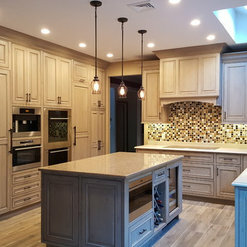 Many different facets of home remodeling is facilitated by Galante Construction and would not hesitate to highly reccomend him and his crew to anyone with thoughts for renovations in their home. We hired Matt to do extensive renovations on our new house. We were extremely happy with the work he and his team did. Matt showed up every day, on time, explained the work he was doing, and helped us cut costs on upgrades that we didn't truly need. His prices were very agreeable and we worked out a good payment plan. We increased our home's value by more than what we spent on the renovations. We recommend Matt and would definitely use him again for future projects. Matt is one of the recommended contractors I use and he has 30 years in the business and when you talk about precise, it's this guy. His work is impeccable and on top of it all, he's the nicest guy. 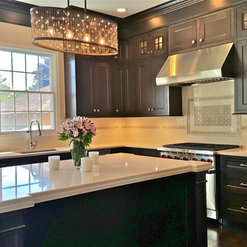 He is a stickler for details and does an A1 job with anything he does, whether it's installing kitchen cabinetry or tiling. Clients love him and always have nothing but good feedback to give on his scope of work. We hired Matt to build a full bathroom on the third floor of our historic home. From start to finish, he was a consummate professional and extremely communicative. His attention to detail and quick problem-solving skills resulted in a top-notch job. Matt's pleasant demeanor and personable attitude made him easy to work with. He was willing to do whatever necessary to get the job done right, even when faced with difficulties posed by our older home. An extra bonus: Matt was full involved in this job and present for all of the grunt work, which is not something we can say for other contractors we have worked with. Thanks to his hard work and dedication, we now have a bathroom that has become our most favorite room of the house. We hired Matt to redo our very tiny kitchen last year and we were so pleased with his professionalism and how the project came out. He was always on time, respectful of our schedule and extremely fair when it came to pricing. We were so pleased that we just hired him again to finish our basement. 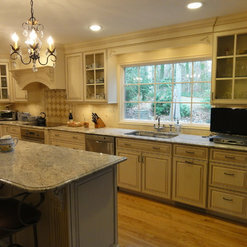 We would highly recommend Galante Building and Renovations to anyone who is looking to do any work in their home. 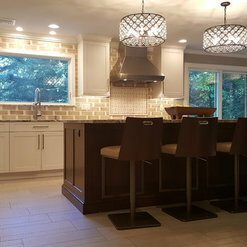 We met with quite a few contractors before choosing Matt for our kitchen renovation, and I couldn't have been more pleased with the outcome. Matt installed my cabinets, appliances, tile, backsplash, moldings. As with any major renovation we ran into a few unforeseen problems which Matt handled effortlessly. As Matt would say, "there are no problems only solutions." Matt is honest, professional, a true craftsman & an all around nice guy. I couldn't be happier with my new kitchen. Consider yourself lucky if you found this review. 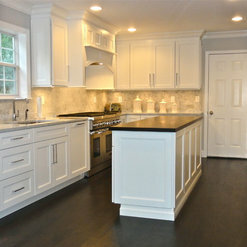 Now close your eyes and imagine your kitchen revisions or finished basement. Dare to dream big and than run don't walk to contact Matt Galante to deliver on your vision. Matt is one of a kind. He is skilled, honest, and reliable. Matt is an absolute perfectionist and his pride shines through in the littlest of details. I cannot find a piece of molding or trim that is not absolutely perfect. After a winter flood Matt basically rebuilt my home. 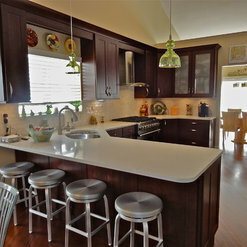 This included a new kitchen 3 baths and a finished basement. All are spectacular!!! !